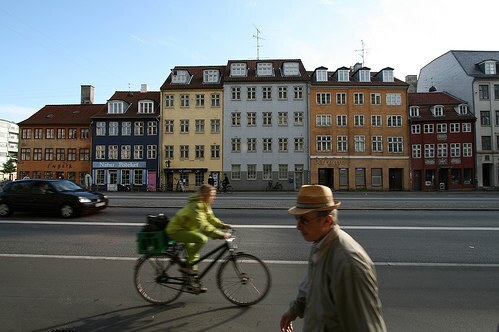 Biking and walking in Copenhagen. Flickr photo by Stig Nygaard. Last Thursday, the Danish government agreed to invest 94 billion kroner ($16 billion) to improve the nation’s roads, railways and bike lanes by 2020. Indeed, Amsterdam claims the top spot for “bike capital of the world,” considering 60 percent of all inner city trips are made by bicycle. And not only that, but for the first time, Amsterdammers are riding their bikes more than their cars. With Denmark’s new parliamentary agreement, the country is well on its way to showing national support for bicycle and mass transit infrastructure, which is often left up to local or regional governments. And the federal emphasis on funding “green” projects is notable, considering the habits of more “black” asphalt- and car-centric nations. In light of this, James Oberstar, chairman of the House Transportation and Infrastructure Committee, has proposed a “healthier mix,” as reported in a previous post on TheCityFix.